Can herbal acne treatments really cure your acne? 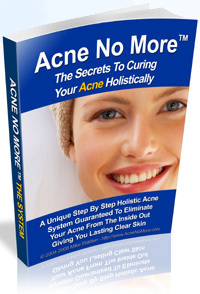 Discover the insider truth about herbal acne remedies learned through 7 years of research that no dermatologist, naturopath or herbal expert will ever tell you. Herbs, not only for the treatment of acne have been used for medicinal purposes, to promote energy, love, birth and spirituality from the time of recorded history. Herbal medicines are known for their gentle and gradual ways of healing, safety use and potent qualities. Herbs are in fact concentrated foods, filled with potent nutrients not always available from the foods that we eat. Herbs can work with your body to balance or temporary rebalance your body for the purpose of helping your system to gradually heal itself. Herbs can also be used to treat not only the symptoms of a disease like acne, but also the root cause of a problem. Herbal acne treatments: how do they work to cure acne? Not all herbs are alike or function the same. Herbs work differently and function at a different pace and level within each individual. Herbs are filled with concentrated nutrients and work through your glands to nourish your body and help it produce hormones, tone, nourish, cleanse, regulate and heal itself. And because herbs work with your body, against it like conventional cane treatments (drugs and steroids for example), and because herbs are aimed to tackle the cause of a disease, not the symptoms, herbs work gradually and slowly. Herbs work in combination, rather than separately since each herb can tackle other disease-contributing factor and if herbs are taken with the correct foods (like fresh fruit and vegetables and whole grains) they function more effectively. Like with any natural treatment that addresses the root cause of a condition like acne, herbal acne treatments will lead to a temporary healing crisis, when things become worse before they get better. By intensively stimulating your body to detoxify, for example, herbs will cause you liver to release an abundance of congested toxins (disease poisons are released into the bloodstream), a temporary condition which can get your body into a more aggravated state of imbalance. This is effective because your body has the natural tendency to restore things into balance and this condition can actually encourage your body even further to return to homeostasis and thus work harder to heal itself. Herbal treatments for acne if taken in a form of blend or tincture can be very effective, to purify the blood from congested toxins, to help balance hormonal activity, to boost liver function 9helping your liver to expel excess hormones out of your body, and release toxins), to fight Candida and other fungal forms that stress your elimination organs and aggravate your acne. The only problem is that herbal acne treatments work temporarily. Although herbs effectively pave the way for the body to do its own work, by breaking up toxins, cleansing and nourishing, and fighting harmful organisms, medicinal herbs no matter how potent they may be will NEVER cure your acne. 1.As you already know, to permanently cure acne, in addition to the cleansing protocols, lifestyle optimization and hormonal balancing, you must also rebuild your main organs of elimination. Herbs will effectively SUPPORT these processes but they are by no means a substitute. For example: if you suffer, like most acne sufferers, from significant toxic blockage in your system, cleansing herbs no matter how powerful, will NEVER be able to replace an effective thorough liver and blood cleansing protocols. In the same way a mechanical problem in your car could never be properly fixed using a fuel or an oil change. 2.Although some herbs like Echinacea (known to reduce inflammation and promote healing) or aloe vera(has excellent antibacterial and astringent properties) can be taken long term, most herbs by the nature of which they work in your body should NOT be taken through long periods of time but periodically. Why? because most herbs like dandelion for example, work in cycles: they boost the function of a certain organ temporarily (make it perform in high gear, a good but dangerous function if done through long periods of time) and then they stop working. That's their nature. Another reason why herbs work short term is because of the intense healing crisis herbs create in your system. Your body will work harder to cleanse and regulate itself and thus eventually and in a way neutralize the potency of the herbs. There are dozens of herbs specifically designed to help and reduce acne symptoms. There are herbs, which have been proven to be highly effective "cleansing" agents. Some herbs dramatically boost various organ systems, help balance your hormonal activity, kill fungus creatures and parasites and help stimulate and strengthen your liver and purify your blood. All of which will have dramatic impact on your acne condition. However, by excessively stimulating your liver to cleanse and expel toxins and used hormones out of your body, these herbs aimed at treating your acne will eventually exhaust your liver and the temporary positive effect over your acne will gradually demise. A better alternative to this, is to first rebuild and strengthen your liver so it could release toxins and expel used hormones constantly even after the herbs have provided their temporary boost. Secondly, since hormonal imbalance and congested blood toxins results from several internal and external factors, obviously hormonal balancing and toxic cleansing being complex and delicate processes require the implementation of several OTHER protocols, beside building a stronger liver, to be successfully completed. Conclusion: an effective acne treatment must use herbs in COMBINATION with other cleansing and hormonal balancing protocols while making sure they are taken in cycles (such as two to three weeks on and two weeks off).